Health enthusiasts might strive for a better and healthier body this year. But those who are planning to move this year must also have their own set of resolutions! Moving is not something you should take lightly. It’s all about having preparations and working with the right people. It must be very exciting to have a new home for New Year. Moving, alone, is a resolution for you this year. But the way you get things done to move from one place to another needs some gear-switching, too! Here are the five best resolutions for movers of this year. Sort the stuff you won’t be using anymore and donate them to a local charity instead. 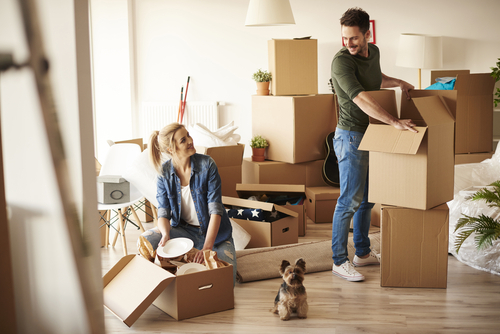 Bringing fewer boxes with you will not only make a move less hassle but will also help you start a new life in your new house. Prior to moving, start doing the things that you can such as updating your address so that you won’t have to worry about it during or after the move. Moving is a tedious thing to do alone. Stop tiring yourself and start asking for help. Call a professional moving company who will take care of all your moving your needs. Don’t keep the boxes scattered all over your new house. Set a time to unpack everything and organize your stuff so you can enjoy your house better. Make sure to spend your first few weekends taking trips to nearby places outside your neighborhood so you can get used to the new area. Make your move this year extra special by keeping these resolutions and expect a better outcome. For sure, you will enjoy a smoother and more organized moving experience.